While the Toyota Prius is far from being a sports car, there are still some owners looking to spice up their thrifty vehicles in a bid to make them look more aggressive. 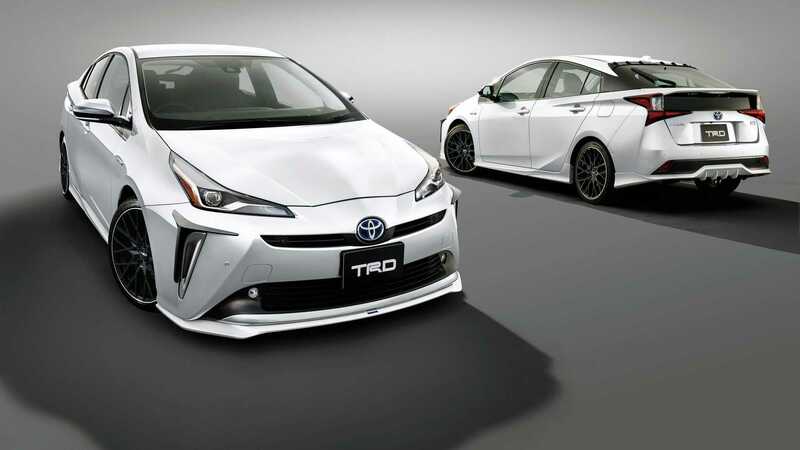 For that audience, Toyota Racing Development (TRD) has come up with a wide array of visual upgrades compatible with the facelifted Prius we first saw last month at the Los Angeles Auto Show. 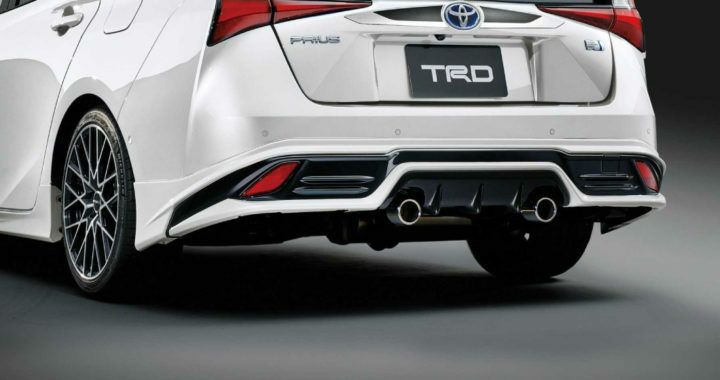 It’s safe to say the Prius doesn’t have the most appealing design among cars on sale today, but TRD believes it can make it more desirable courtesy of a body kit encompassing just about everything you can think of, even door handle inserts. Beyond the changes to the body – which include a roof-mounted diffuser – there’s also a dual exhaust system and a rich selection of 15- to 18-inch alloy wheels. These goodies are already available in Japan and TRD will show some of them next month at the Tokyo Auto Salon 2019. Customers can buy the pieces individually or opt for packages that bundle a variety of parts. At an additional cost, the accessories can be factory-painted. The custom pieces for the body are the result of computational fluid dynamics (CFD) analysis and have been developed with aerodynamic efficiency in mind, so they actually make the Prius sleeker compared to the standard model. For those willing to go all out, the 2019 Toyota Prius can get a matching luggage box and sunshade from TRD and even a red “sporty” start/stop button with the Toyota Racing Development branding. There are some hardware changes worth mentioning, such as the Motion Control Beam for better riding comfort and improved tire grip while cornering, along with a member brace set. It’s too soon to say whether any of these parts will be offered in the United States where the Toyota Prius has received all-wheel drive for the upcoming 2019 model year. It’s expected to kick off at $27,300 after handling and destination charges. 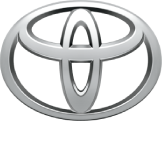 Posted in New Vehicles and tagged 2019 Toyota Prius Gets Sporty Makeover From TRD, Buying New Prius in Akron Ohio, facelifted Prius, Prius TRD, Toyota, Toyota Racing Development.